Australia's largest selection of time clocks, bundy clocks, time recorders, fingerprint time clocks, cloud based time clocks, time and date stamps, time cards, ribbon cartridges and accessories. We stock all major brands and deliver anywhere in Australia and New Zealand. The Timelogix TL200 is a cloud based fingerprint employee time and attendance system designed for small to medium sized businesses with under 50 employees. 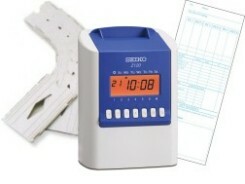 The BundyPlus G6-BIO is a fingerprint time and attendance solution for small, medium and large sized companies. The Easy Clocking Xenio 200 is a cloud based standard fingerprint (biometric) employee time and attendance system designed for small to medium sized businesses. The BundyPlus Z6-Series is a face recognition time and attendance solution for small and medium sized companies. Designed with simplicity in mind, the BundyPlus Z6-Series is easy for customers to install and set-up. The Easy Clocking EC50 is a proximity card employee time and attendance system designed for small to large sized businesses.